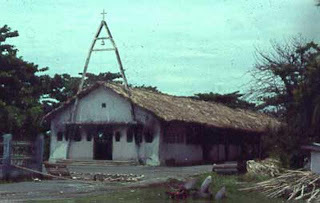 The 6th of September is remembered as a day of national mourning to mark the Suai Church Massacre that was carried out by the Laksaur Militia with the support of the Indonesian military as part of an attack on and slaughter of civilians hiding in the Suai Church which resulted in the deaths of 3 priests and approximately 200 innocent civilians, as well as a large number of others who suffered serious injuries during the incident. ‘The massacre incident at the Suai Church’ is one of several massacres committed by militia and the Indonesian military after the results of the referendum were announced. This referendum took place under the supervision of the UN Mission in Timor-Leste in 1999. This incident is considered to be part of the history of the struggle and suffering of the Timorese people which was a protracted process leading to independence. These incidents should always be remembered to keep nationalism alive and to give hope to victims that they will receive justice. Often we hear politicians or state authorities saying that the people have forgotten about justice and only think about development, infrastructure, highways, electricity, education etc. Therefore the government is always looking for ways to put justice aside and force their development agenda, something else that is not yet evident for the people. The release of the militia member Maternus Bere on 30 August 2009, who was the 2nd Deputy Commander and was notorious for his involvement in the Suai Massacre, is a concrete example of the position of the government in relation to justice for past crimes. JSMP continues to doubt that victims and their families have forgotten the past and no longer have the desire to demand justice for the bitter experiences of the past prior to independence. JSMP is certain that although they feel despondent because of the lack of certainty and political will on behalf of politicians to provide justice in their cases, they still hope in their heart that one day they will get justice, in what ever shape or form possible. The people and the victims of human rights violations are all certain that diplomatic and bilateral relations with Indonesia need to be strengthened; however this does not mean that their right to justice has to be sacrificed. JSMP believes that all of the people of Timór Léste, especially the victims and the families of victims have the right to continue to demand that the State address this massacre and ask Indonesia to take responsibility for the crimes carried out by their agents during the Indonesian occupation of Timór Léste, including the Suai Church Massacre. As we all know, Timór Léste has been independent for more than ten years, the people of Timor-Leste, especially the victims and their families, the orphans and widows, continue to demand justice and the truth, and also demand that the main perpetrators be held responsible for the crimes that they committed.